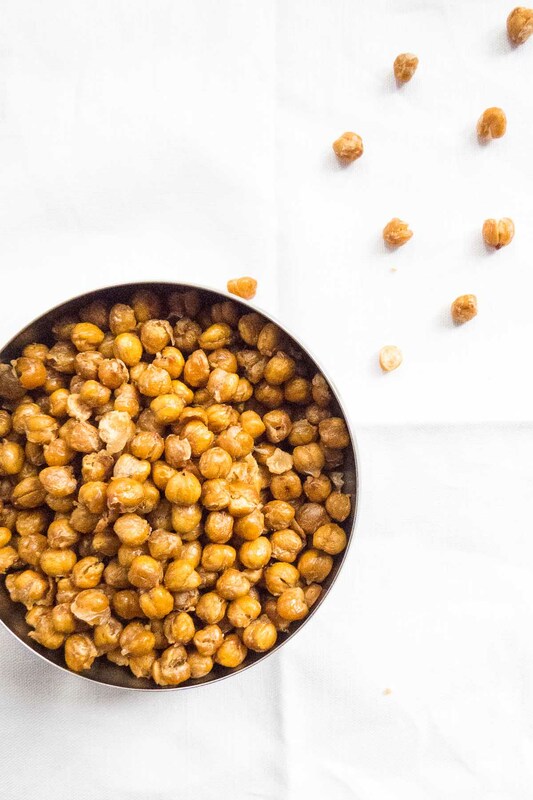 Crunchy Salted Roasted Chickpeas will be the healthy answer to your salt cravings! Great as a snack or as “crouton” topper to a salad or soup, their salty crunch is a delight! I love salty snacks. Salted roasted almonds and peanuts are great, yummy pretzels are delicious hard or soft, and I have a (HUGE) weakness for chips – so much so that I always have a bag in my room or at my desk in case an urge would come. Of course, this is extremely bad. And why salt alternatives are a must, especially when you want a crunch that cannot be satisfied with salted veggies – yes I occasionally eat salted vegetables (cucumber, tomato, bell pepper) as a way to get a salt fix. 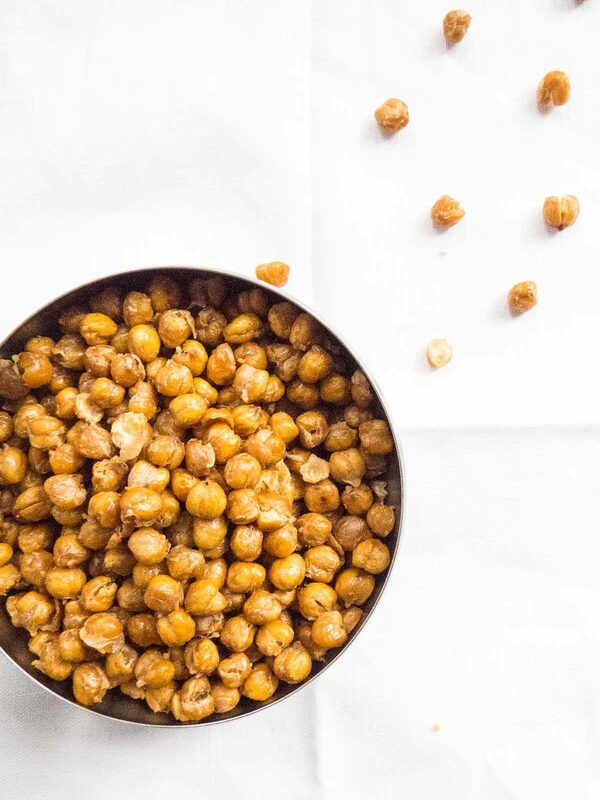 Crunchy Salted Roasted Chickpeas to the heavenly rescue. 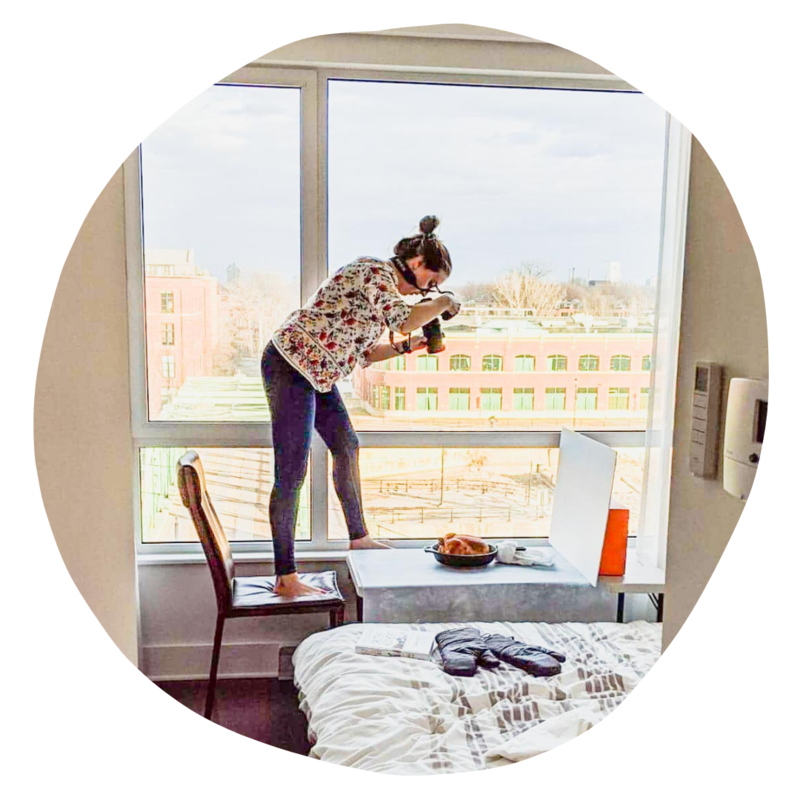 I’ve made these before, and posted about roasted chickpeas before… back in the old days when the photos weren’t the greatest and I wasn’t on the right blogging platform. That time I had made them spicy with a little chili powder, dry mustard, ground pepper, cayenne pepper, garlic powder, and salt. But this time, I decided plain and simple was the way to go – a great foundation for more experimentation down the road! I’m thinking curried crunchy roasted chickpeas in the future! For now though, let us get the basics down! I got lucky and was able to find and stalk up on 28oz cans of chickpeas, however using two 15oz. cans (or similar) is just fine. Before roasting, you want to make sure you get a good rinse and dry them very well on paper towel. When you’re doing this you may notice the chickpea skins coming off. Some people are of the opinion that they should be removed… I am of the opinion that I am lazy and don’t observe much of a difference between skins off or on, so I keep them on. I just make sure to remove the skins that have fallen off themselves; they can burn in the oven. Once dry, cookie sheet it up! Toss with oil and salt, make sure they’re not over crowded and you’re good to go! If you do want to add flavorings, toss them on half way through roasting in case they burn! I like eating them as an afternoon snack, but they’re a great crunchy addition to salads and on top of soups! 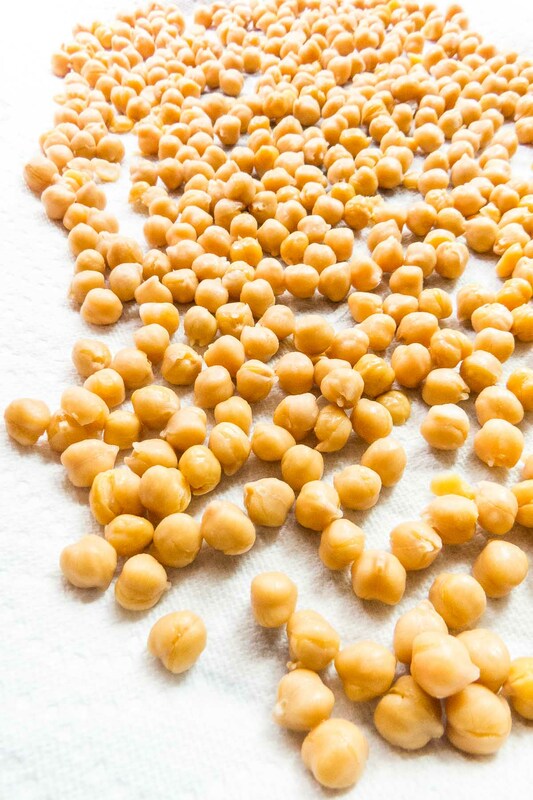 Rinse and drain chickpeas and place over paper towel to dry well removing skins. Place dried chickpeas on a baking sheet, toss with oil and salt. Roast for 20 to 30 minutes turning every 10 minutes so they don't burn. In an airtight container, they should last for about 5 days.